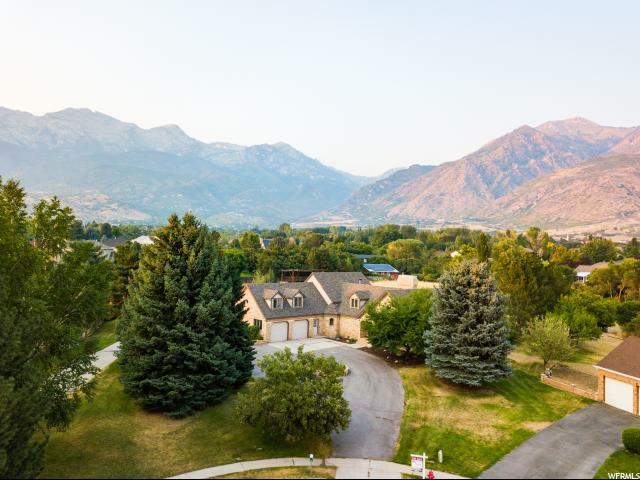 All Alpine homes currently listed for sale in Alpine as of 04/25/2019 are shown below. You can change the search criteria at any time by pressing the 'Change Search' button below. "Absolutely stunning Parade of Homes showcase property nestled at the base of the Wasatch mountains* Main level features two amazing master suites - one of which is perfectly suited for a caretaker suite or mother-in-law apartment with its separate entrance* Kitchen and dining room has multiple seating areas, a butler's pantry, and Wolf appliances* Extra high ceilings throughout the home create a bright, open feel* Entertaining is a breeze in this home as there are multiple areas for doing so including the large deck out back, tiered back yard with built-in bbq grill and firepit, and great room in basement to name a few* Walk out basement also features an incredible basketball court with 3 hoops, exercise room with large TV, built-in fish tank, wet bar, and large screen projector TV* Basement is also stubbed for 2nd kitchen* Control 4 Audio/Visual system throughout the home provides state-of-the-art entertainment options and multi-zone HVAC system provides customizable, efficient climate control* And don't forget the incredible mountain views* "
"Great opportunity!! 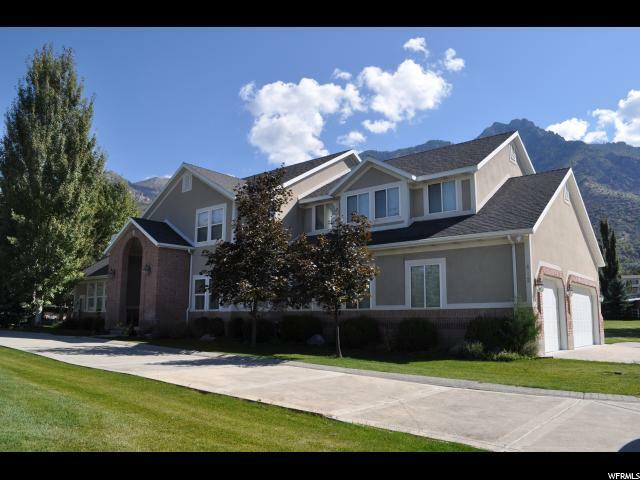 Choice, close-in Alpine location with large pool, privacy, and trees galore.! 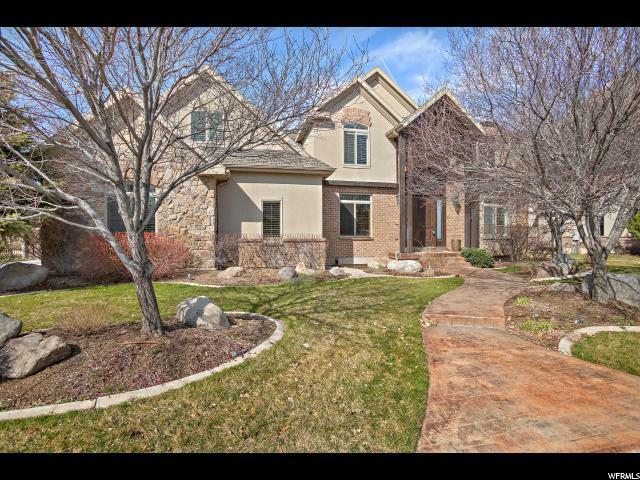 Neighborhood of beautiful homes all located on 1 acre + properties. 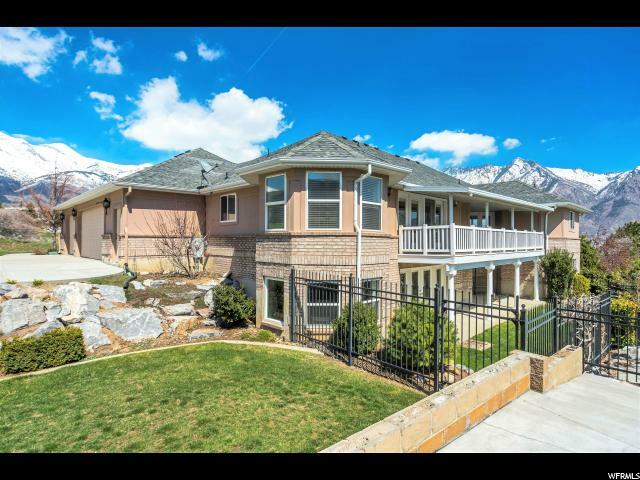 Home features floor to ceiling windows in spacious family room, kitchen nook area and dining room, capturing mountain views while still feeling secluded. 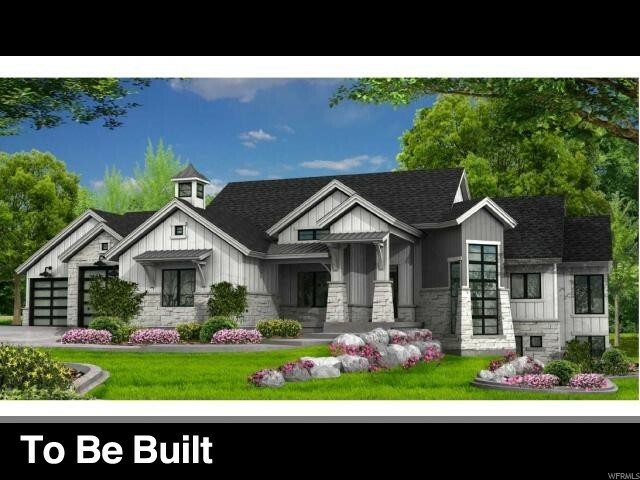 Also included are formal living and dining room, office, 2 huge family rooms plus a computer loft. Several ceiling have beams and rough barn wood look. Large kitchen with island and bar and huge butlers pantry. 3 fireplaces add to the ambiance. You'll love this freshly painted, extra deep, over-sized 3 car garage. 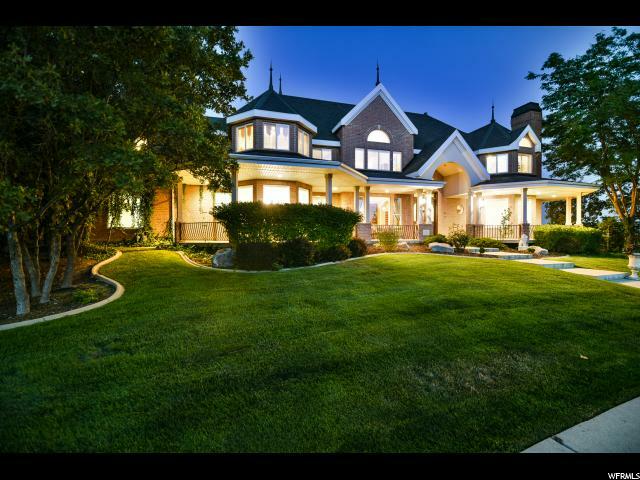 Outside is like a dream world with mature trees all around, huge patio, pool, playhouse and room for anything you'd like to add. Home features classic all brick exterior (which means 'built to last'}. Call me and let's go look at it!" "GRAND OPENING OPEN HOUSE this Saturday from 11-2pm. 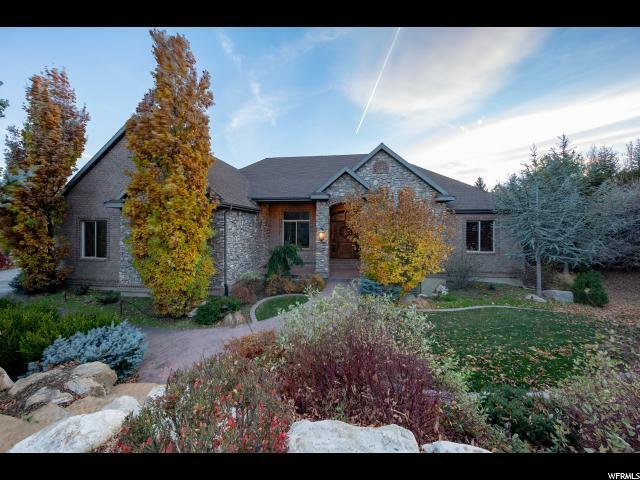 Beautiful custom home nestled in the East side of Alpine! Gorgeous grounds on just under an acre. One of the most beautiful lots! So many wonderful amenities: Boat and RV parking. Theater room. Walk-out basement. Full kitchen in basement. Swimming tub. 3 furnaces, 3 A/C units. Roof was replaced 10 years ago. Perfect for in-laws or kids. 4-car garage in main house and 3-car garage in guest house. Perfect for a car guy (or girl!) Newly remodeled kitchen with new appliances, granite and paint throughout. Newly remodeled bathrooms. New driveway and retaining wall. GUEST HOUSE on property with private driveway, 3-car garage and kitchen with 3 bedrooms and 2 bathrooms. 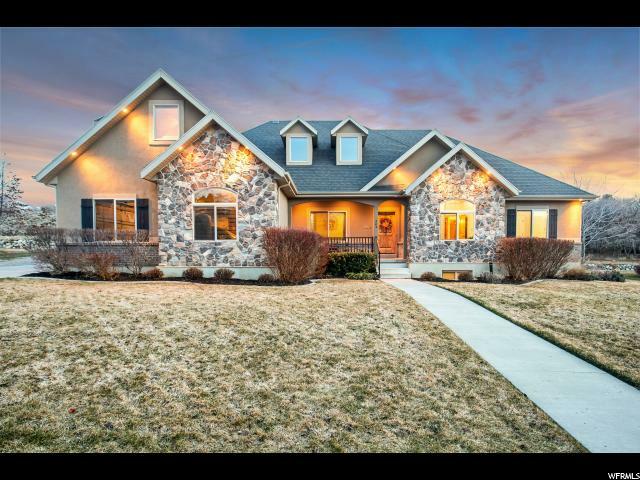 IMPORTANT TO NOTE: Walker lawn mower ($18k new), Master safe ($10k new), 4-wheeler ($9k new), snow blower, swimming tub, appliances, 4 big screen TV's, and some furniture included for the right price!! 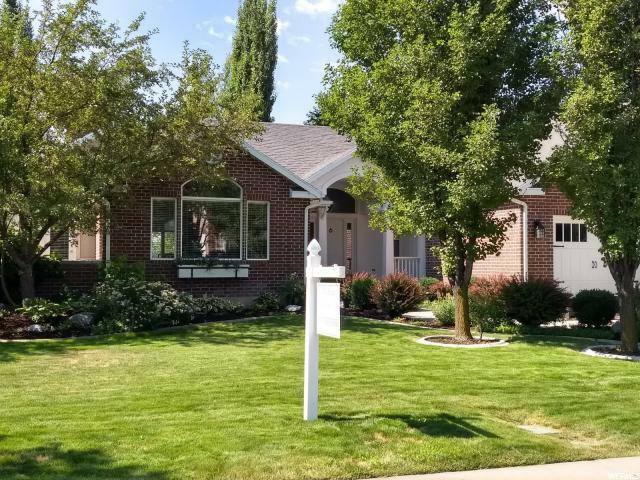 Don't miss out on this beautiful, custom home on a quiet, tree-lined street in one of the most beautiful neighborhoods in all of Utah. COULD BE YOURS TODAY!" " Open House Saturday April 27th from 10-12pm. 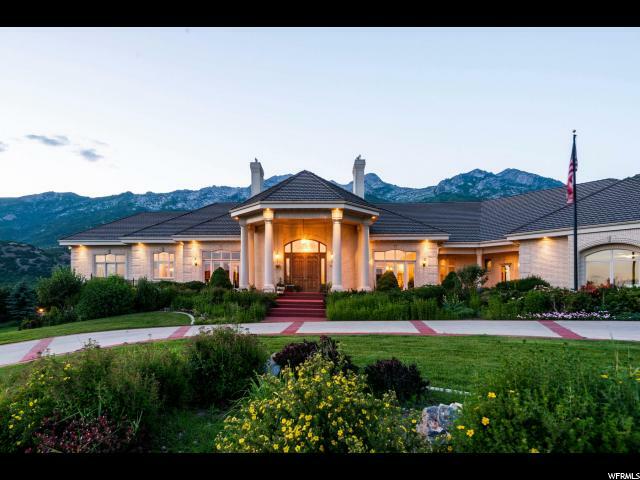 Welcome to Lone Peak Estates! 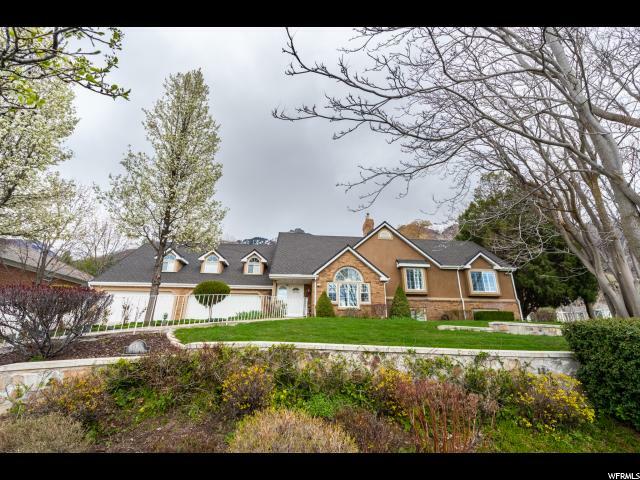 This fabulous, custom rambler is situated perfectly in the Alpine foothills on over half an acre lot. 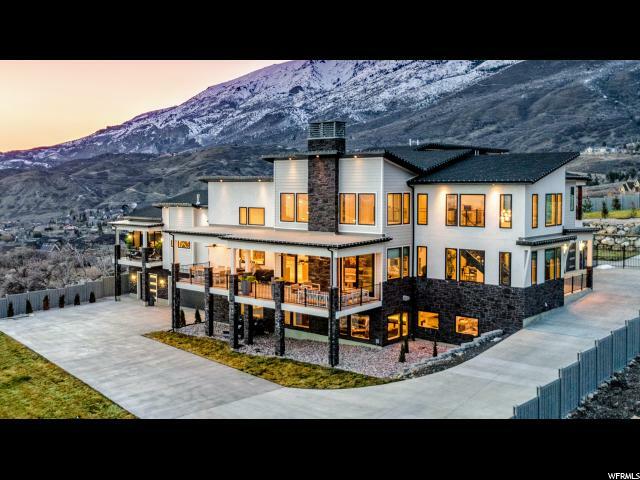 Enjoy spectacular mountain and lake VIEWS from almost every window! A grand foyer with formal living and dining spaces instantly welcome you. The entry flows nicely into the open concept family (complete with fireplace! ), kitchen and dining areas. Beautiful new, wide plank, white oak wood floors create an elegant feel to the whole main floor. The designer kitchen features stunning new marble counters, back splash and a nicely sized island. The master retreat is filled with natural light and boasts direct access to a covered deck, new carpet and a large walk in closet. The en suite master bath was recently updated with marble counters, tile and spa shower + soaker tub. The main floor is rounded out with a spare bedroom, laundry and 2 more bathrooms. 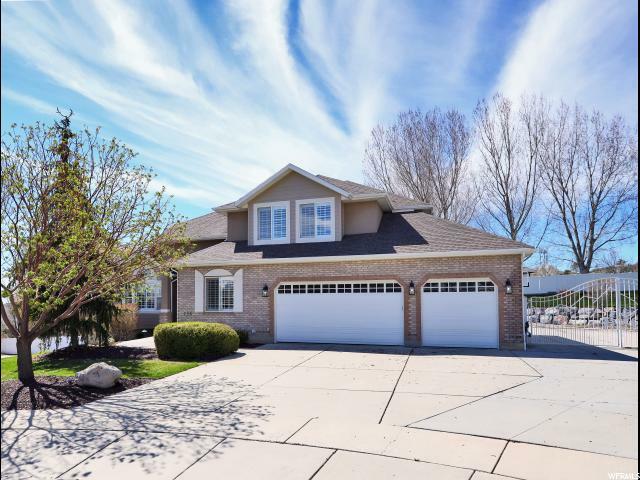 The daylight walkout basement includes a wet bar, fireplace, direct access to the driveway (perfect for potential mother in law area), and an over sized carpeted family room area - ideal for cozy living & entertaining. 4 more bedrooms + 2 bathrooms gives you plenty of room to spread out. Radiant heat system fills every part of the home with warmth and is ideal for people with allergy issues. 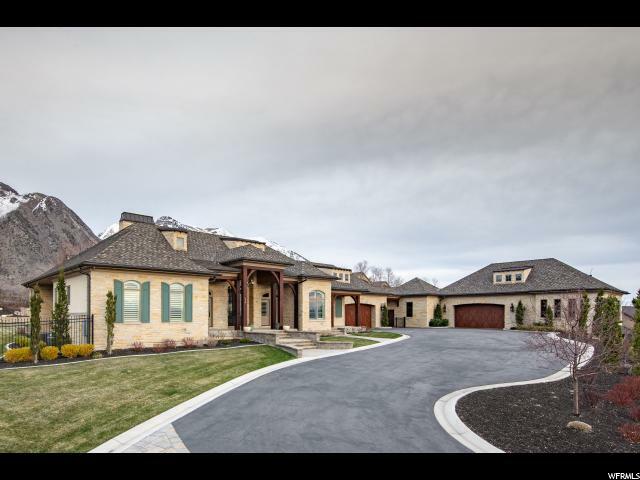 Outside you will find an extra large driveway, heated front walks and an over-sized 4 car garage. 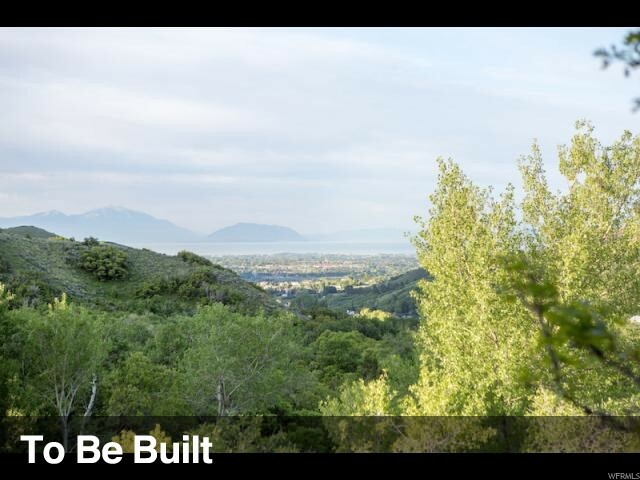 A mature, park like yard features a pergola, walking trails and fruit trees. This home is an entertainer's dream! Come see it today. Square footage figures are provided as a courtesy estimate only and were obtained from county records . Buyer is advised to obtain an independent measurement. "